This is supposed to be one of the five easiest squares. Well, sure, if you knit exactly according to the pattern. But when I tried that, it was going to come out ridiculously short; if I added a fourth vertical repeat at that gauge, it would have been too tall. I monkeyed around with several unsuccessful modifications, but in the end, I chose to add 4 rows of reverse stockinette to the center section before and after the heart motifs. Fidgety business: I worked the garter borders on 51 stitches instead of 55. 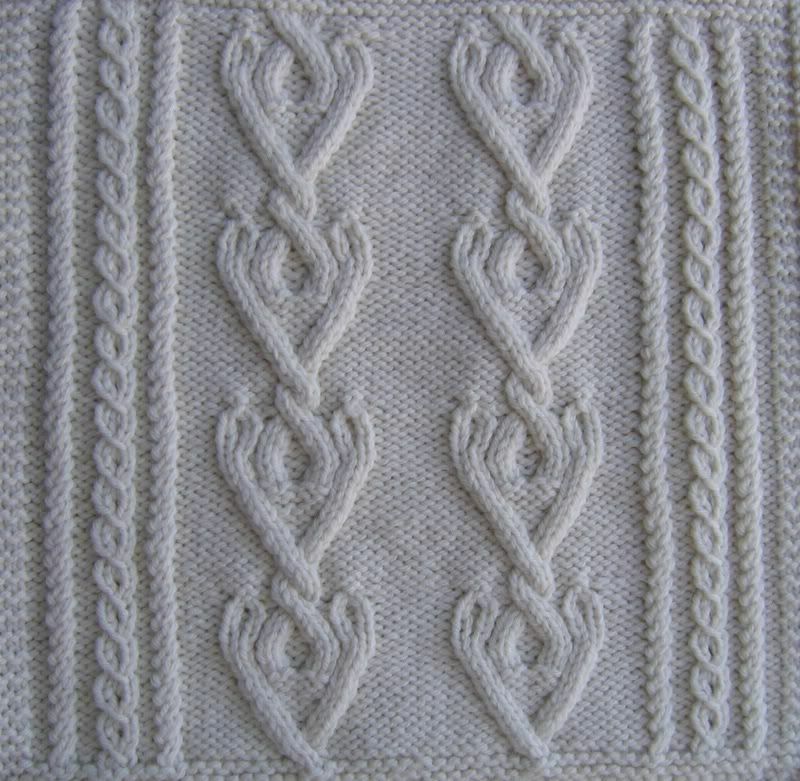 I increased four stitches in the last row of the border, then increased another four stitches in the process of beginning the first hearts (two stitches at the base of each motif, bringing the stitch count to the expected 59 and successfully avoiding cable splay. 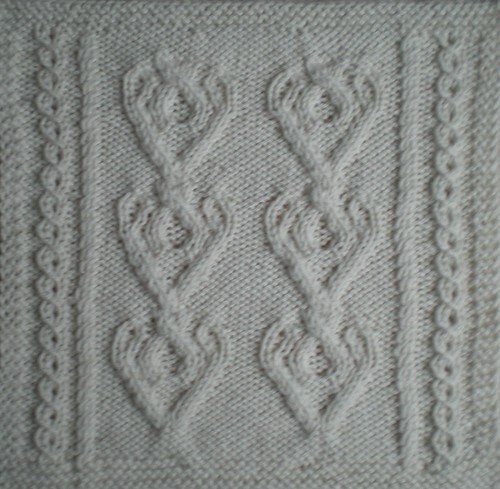 By the way, here's Susan Rainey's interpretation of the Selesnick square with four pattern repeats.